Here is what some of our guests are saying about ours tours. We will be more than happy to give you their contact information if you want to hear more from them about their experience with French Escapade. Two years ago, I had never left my country and was slightly afraid to travel alone to places where I didn’t speak the language. After a lot of research, I decided upon a painting trip to Spain with French Escapade. Looking back, I now realize how unfounded my fears were. Jackie and Valerie made me feel totally at ease with everything involved with this trip. They manage to find the most beautiful places in the world for their trips. The accommodations are second to none, the painting sites are every artists dream, and the teachers are at the top of their fields. The meals, guides, in country transportation, all of it is amazing. And the minute I got back from Spain, I booked Italy. Jackie and Valerie are not only wonderful people, but they have given me two of the greatest experiences of my life. And I can say with one hundred percent certainty that I will be back. I’ve been talking up French Escapade like crazy! Hopefully you’ll get a couple new folks. So technically I’m already a walking testimonial. 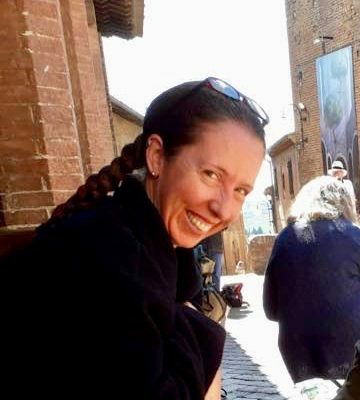 My name is Anna and I took 3 painting tours with French Escapade and this year I will take my 4th one. Why do I keep choosing FE? I live in Norway so every destination in Europe is only 2-3 hours away by plane. It means I can make budget trips on my own any time. But instead, I keep choosing FE again and again. And this is the reason why: they are just the BEST for organization. 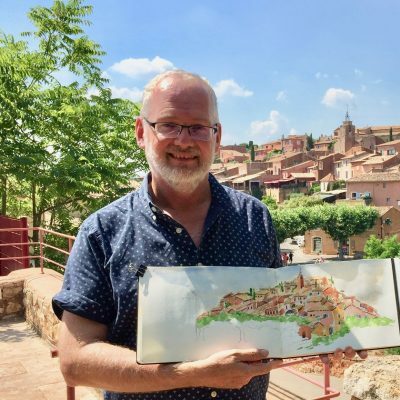 Everything (and I mean EVERYTHING) is planned to create a wonderful painting tour experience: wonderful top teachers, perfect locations, delicious local food experience, cozy beautiful hotels. I feel like a painting queen who doesn’t need to think about anything, just take a brush/pen/pencil and paint! This is so priceless for me when I am on vacation! Thank you, French Escapade, for the best vacation a painting soul can get ! “I took my first tour with French Escapade in 2013, and now, I’ve just signed on for my 7th tour. I’ve taken artists tours and a cultural tour with FE and each one has been interesting and enjoyable in its own special way. One of the reasons I choose French Escapade is because I feel safe and well looked after. On every tour our accommodation has been carefully chosen and has been welcoming and comfortable. The food has been plentiful and delicious. We have explored hidden gems away from the crush of major tourist centres. I’ve had heaps of fun and lots of laughs while discovering charming places in France, Belgium, Spain and Italy. 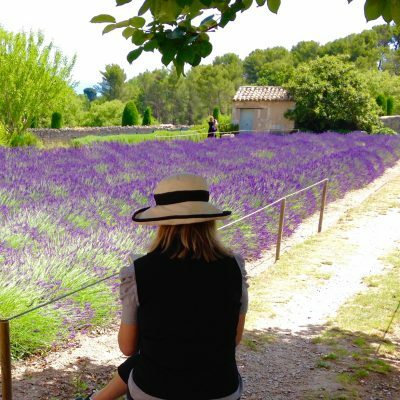 I had a wonderful week in Provence in summer 2018 with French Escapade and Shari Blaukopf. The organisation was superb with the right mix of organised activity and free time. The outdoor painting was excellent with amazing scenery and Shari’s warm and giving method of teaching. Jackie and Marie made sure that everything ran smoothly and were wonderful hosts. I travelled on my own and met some talented artists who I am still in contact with. It was a memorable week with friendly people and I booked for the following year as soon as I got home. 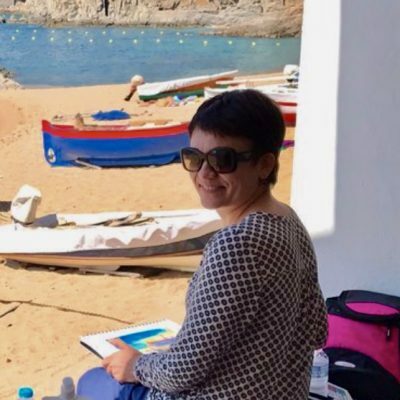 French Escapade does an absolutely great mix of travel and painting at interesting locations with good teachers. I’m so looking forward to May 2019 and my third trip/workshop with Jackie and Valerie! 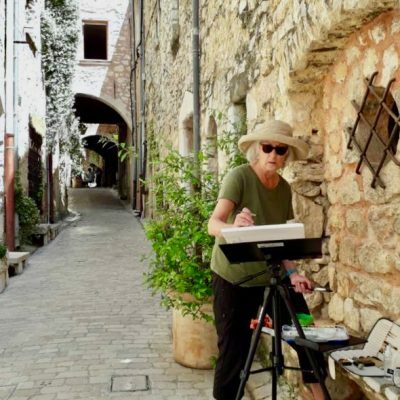 The French Escapade owners or guides are on the trip with the small group, pick a great hotel and restaurants, and know the best spots to paint or to see. In Amboise, we thoroughly enjoyed the Sunday market (besides the castle and Da Vinci’s home) and in southern France, Valerie accommodated my interest in seeing a particular sculpture museum. They provide the best fun adventure! Wow, we had such a marvelous time here, I can hardly believe it is over! I thought of revolting last night and refusing to pack. All the events were so well planned and Jac was well prepared for all our questions. We really, really appreciated your patience while we took hundred and hundred of pictures. I feel so sad to leave, it feels like we are leaving some good friends behind. I have been on 4 of French Escapade tours. You definitely need to get yourselves hooked up. We have had a blast on each tour. Jackie is wonderful, very patient and knowledgeable and funny too! She makes everyone feel so very comfortable. And if it is your birthday, she will make sure it gets celebrated during the tour! You are treated to areas of France or Belgium that American tourists either do not know about or do not have access to. As a result, these tours are rich with cultural events and a true insider look. Hope you get lucky with your future dates. It is definitely worth every penny. Thanks again for such a wonderful trip to France. It was my most relaxing trip to Europe ever. I came home happy, and rested. I have tried to share the trip with several other people, but it is hard to really convey just how special it is. The food was fantastic. The warm hospitality will long be remembered as one of the highlights of my travel. Who knows, I just might get a chance to come back again. 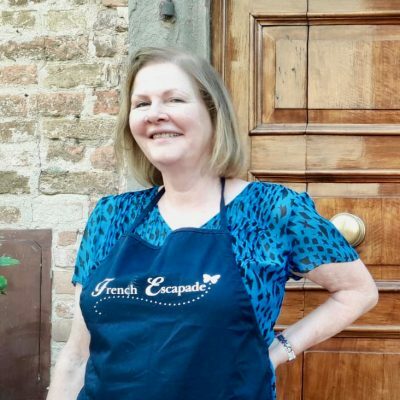 You and French Escapade provided me with the most memorable vacation in my life: …Cathy on the farm, truffle hunting with Robert or learning all about French olive oil. And of course there was our time with the chefs. I didn’t only learn more about food, including selecting produce and unique preparation methods, and I didn’t only get to try *amazing* dishes, but I also learned more about French culture and values through our time in the kitchen. To me, that’s the most precious and priceless part of our trip.